Your email marketing can only work if users actually open it. Preferably, you want them to click through to your website or landing page from the email and provide their information in response to your call to action to show their level of interest. The first step, however, is getting them to read the message, and that’s where subject lines are vital. Research shows that users typically scan email subject lines rapidly, and you have 4 seconds in which to grab enough interest for them to avoid hitting delete. 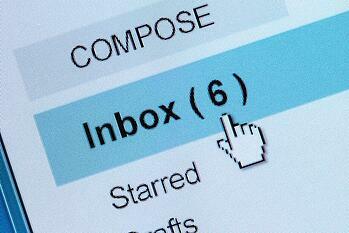 Improving your subject lines improves your open rate. The standard email marketing open rate is around 35%, but with a good subject line your rate could go up to 50% or higher. The more people who open the email, the more your traffic increases and the better your number of appointments and sales. So, is there any reason why you wouldn’t want to double or even triple your open rate? We thought not! The words that work well in a subject line aren’t subjective at all! They’re time-tested, proven and documented by extensive research. Here’s a list of the 5 best words to use specifically in the homebuilding and buying industry, along with stats that apply to them. The information is based on research conducted by Yesware, a company that provides email tracking software for sales professionals. Customers love steps. They want to be told how to do something in a logical, orderly fashion that saves them having to figure it out. This was the highest-performing word used in an email marketing subject line, according to the research. Listings are easy to scan, particularly if your customer is looking for something specific. They save him the effort of having to think about what he wants, and provide alternative suggestions at the same time. All these are reasons why he shouldn’t delete it without checking. Of course, if your “campaign” doesn’t deliver in any of these areas, he may not open another email from you. So don’t use it unless it really is a campaign. How to use it: Have You Checked Out Our Winter Campaign Specials? How to use it: Welcome to Acme Home Renovations! Here’s What’s Next for Spring. Everyone loves up-to-date information. You never know what might be in it. Once again, don’t try to con your reader by providing more of the same old same old under this heading, but if you really have news (or new information) it’s a great way to use it in your email marketing. Particularly if you communicate regularly with potential clients, this indicates you have something new to tell them. Hey (49.66%) – as in “Hey, Have You Seen Our …?” Yes, it seems some people do actually use this as a subject line! Site (47%)—as in “We’ve Launched a New Site.” Apparently people don’t want to read about sites. Who knew? There’s little to give you a clue as to what works and what doesn’t, so if you’re planning an email marketing campaign it’s important to test your messaging before you send it out. You can also track the results to inform future mailings.